Thank you everyone for your comments, links and posts! I appreciate all of them, and I am so thankful for everyone who shouted about about it on twitter, facebook, in your sewing groups, online forums and among friends. There can only be one giveaway winner, but I hope that the tutorials themselves will be helpful to everyone who participated and to whom you helped spread the word. May they help make your garment-sewing even more fun and fulfilling in the new year. I couldn't find your email address, so please email me with your mailing address so I can get the quilt out to you. My email address is in the blog sidebar. i didn't read the post on the giveaway, so i missed it :( but i just checked the original post. what an amazing quilt(ish) you made. 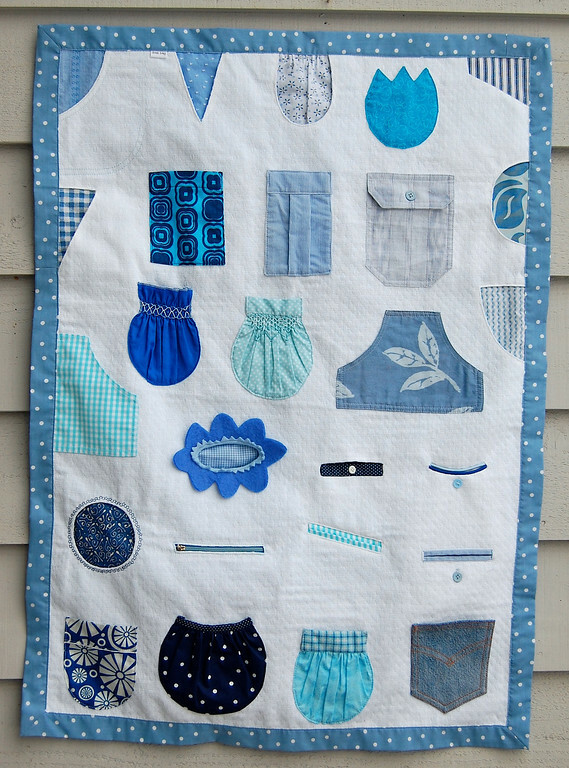 the pockets are incredible, and what a great idea to leave the back of the giveaway quilt removeable. such a great tool for learning. LiEr, last night at 11:30pm, I finished a skirt to which I added sideseam pockets, a la your tutorial. Oh the irony! that I finished too late to take a photo and enter the drawing for the quilt, but truly, I was more focused on the skirt itself, so I think you will be glad. And I will be blogging about the skirt sometime this week and linking to you. Wore the skirt this morning to church with rave reviews :) but I do have a zipper issue to work out yet, and I need to adjust a hook and eye. Congrats to Maria! I feel lucky too though, because I now have all these new pockets to try. Thank you. Oh My Gosh!!! That's ME!!! I'm So excited!!! I've never had a home made quilt!! I can't wait to see it, feel it, hide things in the pockets! Thank you so much! Margo, that's wonderful! I can't wait to see it. I get very happy whenever I read that people actually use my tutorials for anything, but to read that you sewed a pocket and wore it (and the garment it's stuck to) out makes me positively giddy. And of course your skirt got rave reviews! You do such lovely work! That red plaid sunday dress (with the white cuffs and collar)! FYI ... I'm not a blogger, but I "shout you out" all the time. Just told the ladies at quilt group in Phoenix, AZ about you. One of the ladies has a daughter at a fashion design school in Savannah, GA, studying costume design. Told her that your sight was a "must know about". I know I've said it before, but Thank you Oh Thank you for all you share with us.